"Now concerning spiritual gifts, brothers, I do not want you to be uninformed.... Now there are varieties of gifts, but the same Spirits; and there are varieties of service, but the same Lord; and there are varieties of activities, but it is the same God who empowers them all in everyone. To each is given the manifestation of the Spirit for the common good. For to one is given through the Spirit the utterance of wisdom, and to another the utterance of knowledge according to the same Spirit, to another faith by the same Spirit, to another gifts of healing by the one Spirit, to another the working of miracles, to another prophecy, to another the ability to distinguish between spirits, to another various kinds of tongues, to another the interpretation of tongues. All these are empowered by one and the same Spirit, who apportions to each one individually as he wills" (1 Cor. 12:1, 4-11). Some people are described as naturally “gifted.” (Mozart started composing at age 5. Shirley Temple won an Academy Award at age 7. Six-year-old Wayne Gretzky played on a hockey team of ten-year-olds.) Christians are supernaturally gifted. Now concerning spiritual gifts, brothers, I do not want you to be uninformed (v. 1). A spiritual gift is a God-given ability for service. 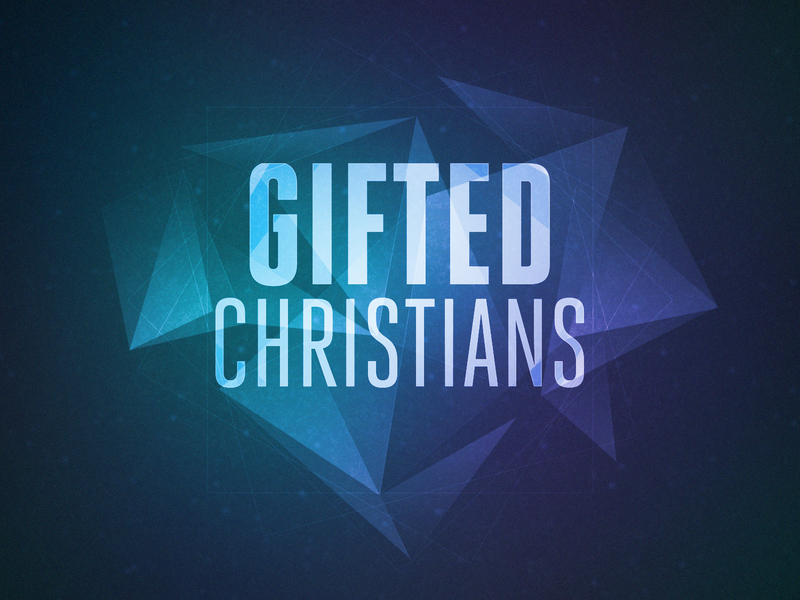 Every Christian receives at least one spiritual gift (“everyone,” v. 6; “each,” v. 7; “each one,” v. 11). The gifts are most likely given at conversion. The Greek word for “gifts” is charisma. When God gives the “gift” [charisma] of eternal life (Rom. 6:23), he also gives “gifts” [charisma] (vv. 4, 9, 28, 30, 31) for service. We have “gifts that differ according to the grace given to us” (Rom. 12:6). 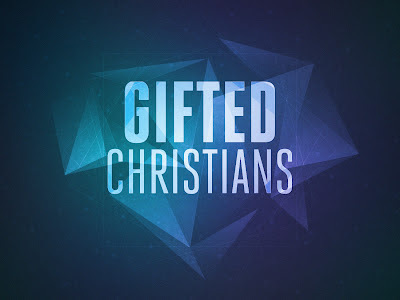 Our spiritual gifts “may be enhancements of our natural talents or wholly supernatural endowments” (Mark Driscoll, Gerry Breshears, Doctrine, 385). Peter writes, “As each has received a gift, use it to serve one another, as good stewards of God’s varied grace” (1 Peter 4:10). Now there are varieties of gifts, but the same Spirit; and there are varieties of service, but the same Lord; and there are varieties of activities, but it is the same God who empowers them all in everyone (vv. 4-6). As there is diversity within unity in the Godhead (one God, three persons), there is also diversity within unity in the church (one body, many gifts). Other lists of spiritual gifts are found in the NT (Rom. 12:6-8; Eph. 4:11; and 1 Peter 4:11). Since every list is different, it’s possible that not every spiritual gift is mentioned in the NT. Many Christians believe that some of the gifts (e.g., healing, miracles, prophecy, tongues) ceased after the apostolic age. This position is called cessationism. To each is given the manifestation of the Spirit for the common good (v. 7). All these are empowered by one and the same Spirit, who apportions to each one individually as he wills (v. 11). 1. Every spiritual gift is important. The church is like the human body (vv. 12-26; cf. Rom. 12:4-5). Each part of the body has an important function. So does every Christian. 2. Spiritual gifts are expressed in unique ways. Having the same gift as another Christian does not mean that your service will be the same. (No two Bible teachers are exactly the same.) Don’t try to be someone else. 3. Spiritual gifts do not determine spiritual maturity. Paul says to the Corinthians, “You are not lacking in any spiritual gift” (1 Cor. 1:7). But later in the same letter, he writes, “I, brothers, could not address you as spiritual people, but as people of the flesh, as infants in Christ” (3:1). 4. Spiritual gifts do not limit you to only one kind of service. If there’s a pressing need, don’t say, “That’s not my gift!” If something needs to be done, and no one more qualified is able or willing to do it, don’t refuse to serve. 5. Spiritual gifts must be developed through constant use. You can listen to the sermon here. "Now to him who is able to do far more abundantly than all that we ask or think according to the power at work within us, to him be glory in the church and in Christ Jesus throughout all generations, forever and ever. Amen" (3:20-21). "Now to him…be glory… forever and ever. Amen." Paul ends his prayer (3:14-19) with a doxology. “Doxology” is from the Greek words doxa (“glory”) and logia (“saying”). “The doxology brings the first half of Ephesians to a close at the place it began in 1:3, in giving praise to God” (Klyne Snodgrass, Ephesians, p. 182). There are several other doxologies in the NT (Rom. 11:36; 16:25-27; Gal. 1:5; Phil. 4:20; 1 Tim. 1:17; 6:16; 2 Tim. 4:18; Heb. 13:21; 1 Peter 5:11; 2 Peter 3:18; Jude 1:24-25; Rev. 1:6; 7:12). NT doxologies usually follow a four-part pattern: (1) a reference to the one who receives the glory, (2) a reference to the glory itself, (3) a reference to the eternal duration of the glory, and (4) the term “amen.” Paul’s doxology in Eph. 3:20-21 has all four parts (Frank Thielman, Ephesians, p. 241). "[God] is able to do far more abundantly than all that we ask or think according to the power at work within us." “To give God glory is not to add something to him; rather, it is an active acknowledgement or extolling of who he is or what he has already done” (Peter T. O’Brien, The Letter to the Ephesians, p. 268). As the psalmist says, “Ascribe to the LORD the glory due his name” (Ps. 29:2; 96:8). 1. God is active in creation. The God of the Bible is not the God of deism. Deism holds that God created the universe but is not now directly involved in creation. 2. God is infinite in power. God is able to do “far more abundantly than all that we ask or think.” Other translations read, “exceeding abundantly above all that we ask or think” (KJV), “far more abundantly beyond all that we ask or think” (NASB), “immeasurably more than all we ask or imagine” (NIV), and “infinitely more than we might ask or think” (NLT). God is omnipotent, which means that he “is able to do all his holy will” (Wayne Grudem, Systematic Theology, p. 216). In other words, God can do anything he decides to do. The rhetorical question, “Is anything too hard for the LORD?” (Gen. 18:14; cf. Jer. 32:17, 27) implies that nothing is too hard for the Lord. The angel Gabriel said to Mary, “Nothing will be impossible for God.” And Jesus declared, “With God all things are possible” (Matt. 19:26). God is not limited by our requests or thoughts. “My thoughts are not your thoughts, neither are your ways my ways, declares the LORD. For as the heavens are higher than the earth, so are my ways higher than your ways and my thoughts than your thoughts” (Isa. 55:8-9). 3. God is working in us. God’s immeasurable power is “at work within us.” This is the power that “raised us up with [Christ] and seated us with him in the heavenly places in Christ Jesus” (2:6). Are you discouraged (cf. 3:13)? Is your faith wavering? Do you doubt the power of prayer? God is “able to do immeasurably more than all we ask or imagine” (NIV). Don’t put limits on God! "For this reason I bow my knees before the Father, from whom every family in heaven and on earth is named, that according to the riches of his glory he may grant you to be strengthened with power through his Spirit in your inner being, so that Christ may dwell in your hearts through faith—that you, being rooted and grounded in love, may have strength to comprehend with all the saints what is the breadth and length and height and depth, and to know the love of Christ that surpasses knowledge, that you may be filled with all the fullness of God" (3:14-19). Paul begins his prayer for the Ephesians with the words “For this reason” (v. 14). This phrase points back to 2:11-22 where Paul writes that all believers—Jews and Gentiles—are one in Christ. 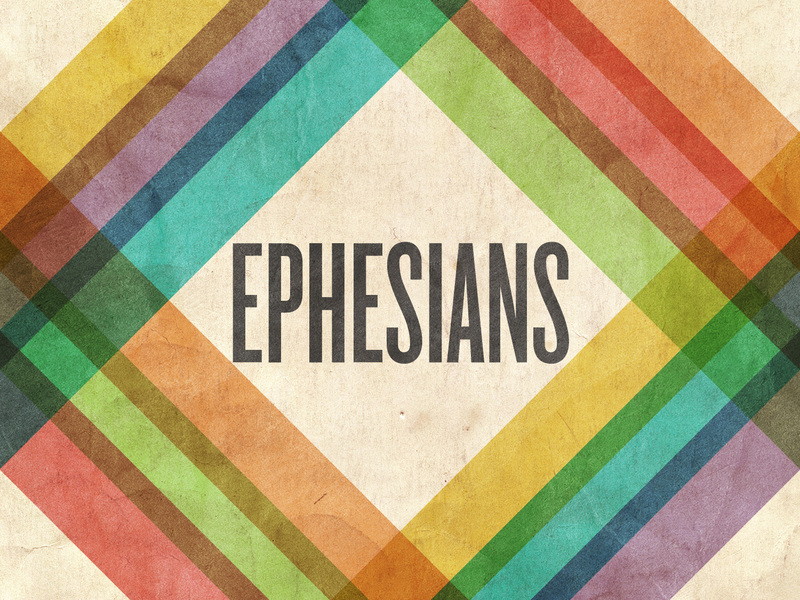 Unity is an important theme in Ephesians. “[Christ] himself is our peace, who has made us both one and has broken down in his flesh the dividing wall of hostility” (2:14). There is not always experiential unity. This is why Paul urges the Ephesians in 4:3 to be “eager to maintain the unity of the Spirit in the bond of peace.” We are united positionally in Christ’s body. We need to be united experientially in Christ’s love. According to the Heart & Stroke Foundation of Canada, there are an estimated 70,000 heart attacks every year in Canada. That’s one heart attack every seven minutes. Over 16,000 Canadians die each year as the result of a heart attack. Sometimes a person looks healthy outwardly, but inwardly they have an unhealthy heart. The focus of Paul’s prayer is the “inner being” (v. 16). (“So we do not lose heart. Though our outer self is wasting away, our inner self is being renewed day by day,” 2 Cor. 4:16.) Paul writes, “I bow my knees before the Father … that according to the riches of his glory he may grant you to be strengthened with power through his Spirit in your inner being” (vv. 14-16). Here are three observations on Paul’s prayer. 1. Nothing is more important than the condition of your heart. “So that Christ may dwell in your hearts through faith” (v. 17a). (The “inner being” and the “heart” are synonymous.) Paul is obviously not talking about Christ’s indwelling at the moment of salvation (Rom. 8:10; 2 Cor. 13:3, 5; Gal. 2:20). He is referring to Christ being first in a believer’s heart. Jesus often rebuked the Jewish authorities because of the condition of their hearts. On one occasion, he said, “Woe to you, scribes and Pharisees, hypocrites! For you clean the outside of the cup and the plate, but inside they are full of greed and self-indulgence. You blind Pharisee! First clean the inside of the cup and the plate, that the outside also may be clean” (Matt. 23:25-26). When Samuel went to the house of Jesse to anoint the next king of Israel, God told him, “Do not look on his appearance or on the height of his stature, because I have rejected him. For the LORD sees not as man sees: man looks on the outward appearance, but the LORD looks on the heart” (1 Sam. 16:7; cf. 2 Cor. 5:12). God chose David because he was “a man after [God’s] heart” (Acts 13:22). 2. A heart amazed by Christ’s love is compelled to action. “That you, being rooted and grounded in love, may have strength to comprehend with all the saints what is the breadth and length and height and depth, and to know the love of Christ that surpasses knowledge” (vv. 17b-19a). “No matter how much knowledge we have of Christ and his work, his love surpasses that knowledge. The more we know of his love, the more we are amazed by it” (Harold W. Hoehner, Ephesians: An Exegetical Commentary, pp. 489-90). “Christ’s love compels us” (2 Cor. 5:14, NIV). We obey Christ because we love him. And we obey him by loving—God and others. 3. You can’t be what God wants you to be without love. “That you may be filled with all the fullness of God” (v. 19b). Paul said, “[If I] had not love, I am nothing” (1 Cor. 13:2). How’s your heart? Is it amazed by Christ’s love? Is it compelled to action? Nothing matters more. "For this reason I, Paul, a prisoner for Christ Jesus on behalf of you Gentiles—assuming that you have heard of the stewardship of God’s grace that was given to me for you, how the mystery was made known to me by revelation, as I have written briefly. When you read this, you can perceive my insight into the mystery of Christ, which was not made known to the sons of men in other generations as it has now been revealed to his holy apostles and prophets by the Spirit. This mystery is that the Gentiles are fellow heirs, members of the same body, and partakers of the promise in Christ Jesus through the gospel. Of this gospel I was made a minister according to the gift of God’s grace, which was given me by the working of his power. To me, though I am the very least of all the saints, this grace was given, to preach to the Gentiles the unsearchable riches of Christ, and to bring to light for everyone what is the plan of the mystery hidden for ages in God who created all things, so that through the church the manifold wisdom of God might now be made known to the rulers and authorities in the heavenly places. This was according to the eternal purpose that he has realized in Christ Jesus our Lord, in whom we have boldness and access with confidence through our faith in him. So I ask you not to lose heart over what I am suffering for you, which is your glory" (3:1-13). Paul was born around the same time as Jesus in the city of Tarsus. He was brought up in Jerusalem (Acts 22:3). Paul’s Jewish name was “Saul.” He belonged to the tribe of Benjamin (Phil. 3:5) and was probably named after the tribe’s most famous member: Saul, the first king of Israel. In his letter to the Galatians, Paul writes, “I was advancing in Judaism beyond many Jews of my own age and was extremely zealous for the traditions of my fathers” (Gal. 1:14; cf. Acts 23:6; Phil. 3:5). He had also been a student of Gamaliel, the most honored rabbi of the first century (Acts 22:3). Paul was a fierce persecutor of the church. He was present at the stoning of Stephen (Acts 8:1; 22:20). And he “began to destroy the church. Going from house to house, he dragged off men and women and put them in prison” (8:3). But Paul was converted on his way to Damascus (Acts 9:1-6). The church’s worst enemy became a Christian! Paul describes himself as “a prisoner for Christ Jesus on behalf of you Gentiles” (v. 1). Later, he writes, “To me, though I am the very least of all the saints, this grace was given, to preach to the Gentiles the unsearchable riches of Christ” (v. 8). Paul’s mission: he was an apostle to the Gentiles. “[Paul] is a chosen instrument of mine to carry my name before the Gentiles” (Acts 9:15). “Go, for I will send you far away to the Gentiles” (Acts 22:21; cf. 26:17-18). “I am an apostle to the Gentiles” (Rom. 11:13). “I had been entrusted with the gospel to the uncircumcised” (Gal. 2:7; cf. Rom. 1:5; Gal. 1:16; 1 Tim. 2:7). Paul’s message: he preached that God’s blessings are equally available to all. This message is described by Paul as a “mystery” (v. 3, 4, 6, 9). A “mystery” in the NT is something that is known only because God has revealed it. “This mystery is that the Gentiles are fellow heirs, members of the same body, and partakers of the promise in Christ Jesus through the gospel” (v. 6). Paul’s suffering: he was a prisoner. 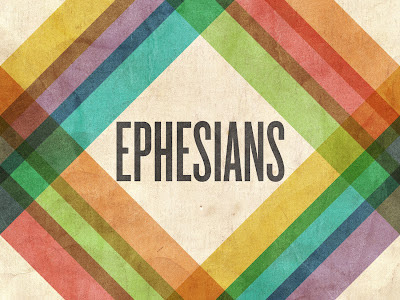 Ephesians is one of Paul’s “prison epistles.” Paul says he was a prisoner “on behalf of you Gentiles” (v. 1; cf. Acts 21:28; 22:21-22). “The Jews claimed that [Paul] was distorting God’s revelation and thus were instrumental in obtaining his imprisonment in Jerusalem (Acts 21:20-36) from where he was taken to Caesarea, tried, and appealed to Caesar (Acts 24:23-25:12). He was then taken to Rome and imprisoned while waiting for his accusers to arrive (Acts 27-28). Altogether he spent four years in prison: two years in Caesarea and two years in Rome” (Harold W. Hoehner, Ephesians: An Exegetical Commentary, p. 420). Paul was willing to follow God’s plan for his life in spite of the adversity. He was a prisoner “for Christ Jesus” (v. 1). Later, Paul writes that he is “a prisoner for the Lord” (4:1) and “an ambassador in chains” (6:20). Paul’s imprisonment showed that the Gentiles were valued by him and, more importantly, God. Paul says, “So I ask you not to lose heart over what I am suffering for you, which is your glory” (v. 13). In his letter to the Philippians (another “prison epistle”) Paul wrote, “I want you to know, brothers, that what has happened to me has really served to advance the gospel” (Phil 1:12). I have been a hockey and baseball card collector for many years. 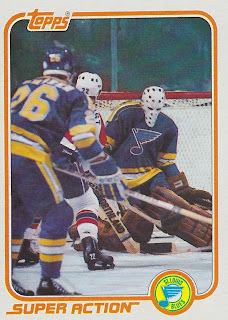 When I was a kid, I loved the “In Action” cards. Paul was an “in action” Christian. He says, “Of this gospel I was made a minister according to the gift of God’s grace” (v. 7). “Christianity is not a religion of works, but it is still very much a religion of action” (Klyne Snodgrass, Ephesians, p. 171). Every Christian should consider himself or herself a minister. Grace calls all of us to action. In his first letter to the Corinthians, Paul writes, “I am the least of the apostles, unworthy to be called an apostle, because I persecuted the church of God. But by the grace of God I am what I am, and his grace toward me was not in vain. On the contrary, I worked harder that any of them, though it was not I, but the grace of God that is with me” (1 Cor. 15:9-10). “Grace always bring responsibility; it never is merely privilege” (Snodgrass, Ephesians, p. 166). “As each has received a gift, use it to serve one another, as good stewards of God’s varied grace” (1 Peter 4:10).